Are you a primary color person? Red, blue and yellow are the three basic colors from which all other colors are created. 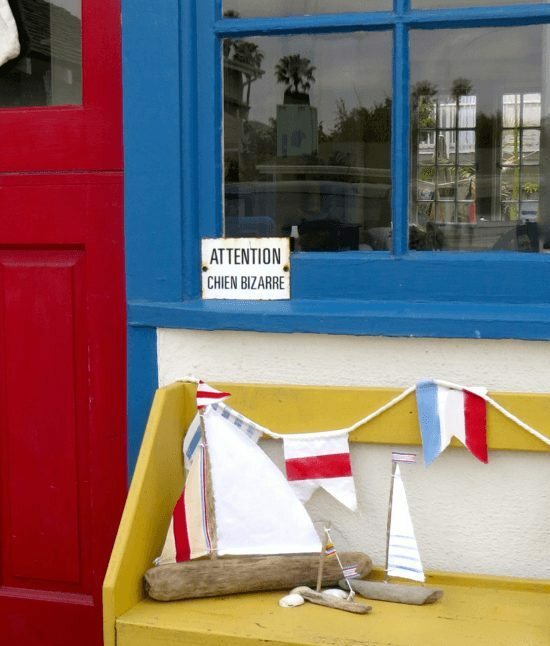 This small 1928 California beach cottage celebrates them all! Carol, a retired school teacher, is a primary color person through and through. 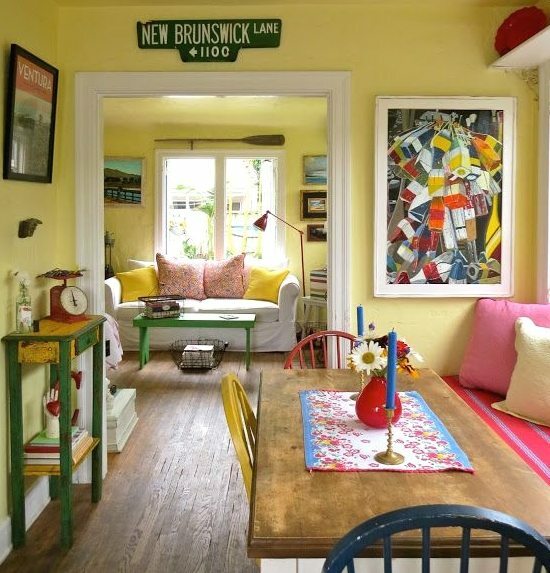 She decorated her beach cottage in red, blue and yellow, inside and out. 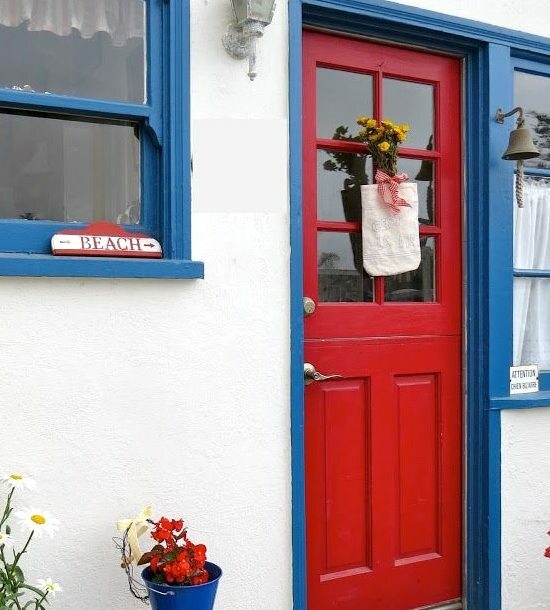 The outside is white and blue with a red front door, and the inside is painted in Benjamin Moore Provence yellow. The accent color in every room is red and blue. 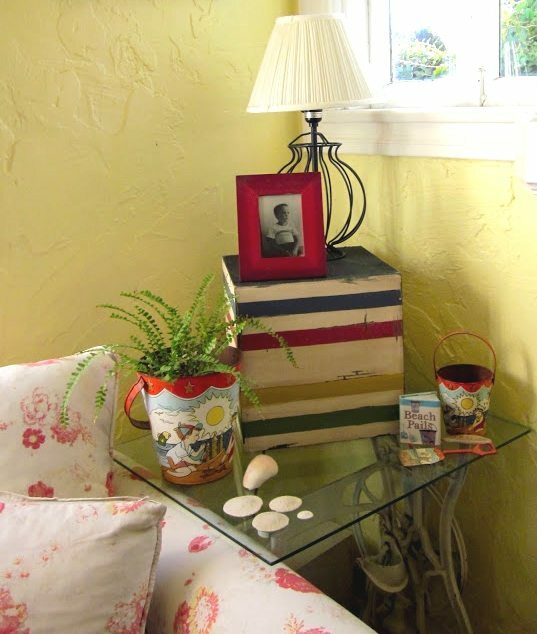 The beach cottage has such country charm, everywhere you look you discover something unique and creative. 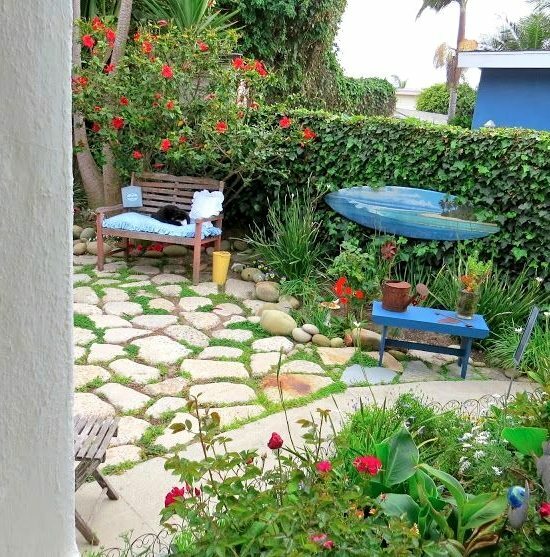 The garden is wonderfully eclectic, “it’s our hidden oasis on windy beach days”, Carol says. 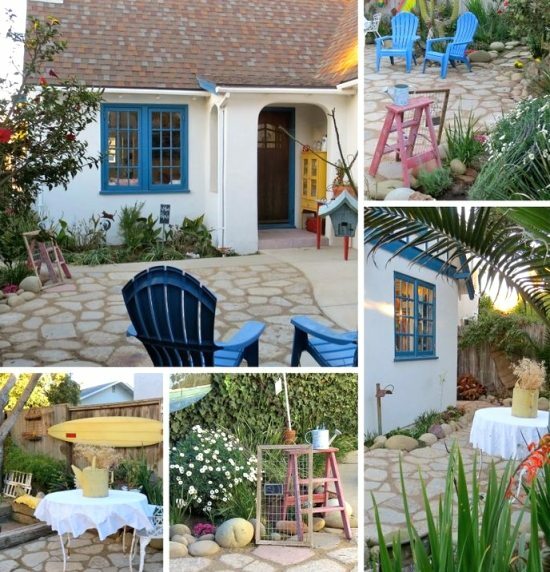 The cottage is just steps from the beach in Ventura. 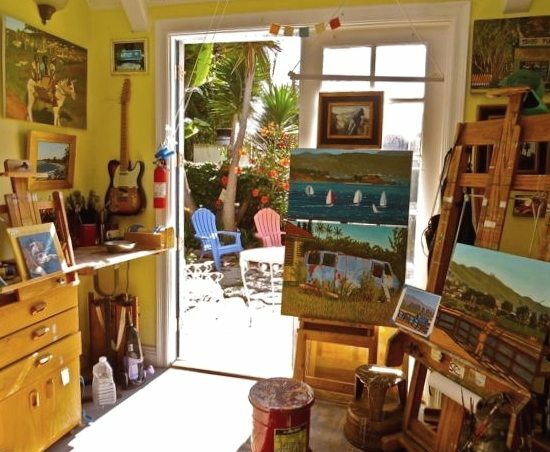 And in case you wondered about that neat little art studio, Carol’s husband is a professional painter. 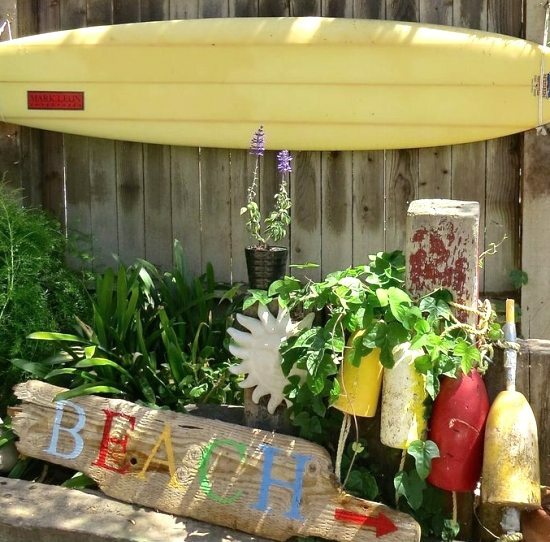 Their beach cottage is a very happy house! 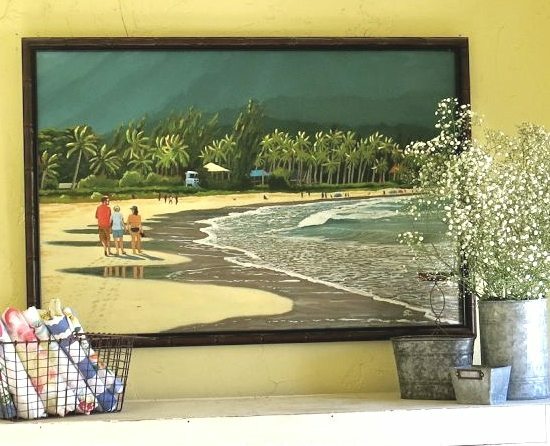 All images are from Carol’s blog Art and Sand. Pay her a visit and follow her Pinterest board! I clicked on your recent post and saw my red, white and blue cottage. Next week, I will photographing my neighbors amazing 3 story beach house. It was built as their dream house and every room is perfect. I will let you know when I post it, because you will be in love. The house is for sale too.